Bernie Taxis currently operate twelve immaculate regularly serviced vehicles. Our fleet of various types of vehicles include Saloons, Hatchbacks, Estates and 8 seater taxis . All our vehicles are radio controlled so we can be at your service as quickly as possible. So no matter what type of journey you are about to embark on; Bernie Taxis will most likely have a vehicle to match your requirements. All of our vehicles are immaculately presented to match the quality service that we provide. The fleet is continually maintained to the highest standards and complete not only a standard MOT test but also an annual AA test covering all aspects of the vehicle. All cars have full Hackney Licenses and are covered by full liability insurance; this ensures we can provide the utmost in safety for clients using our company. 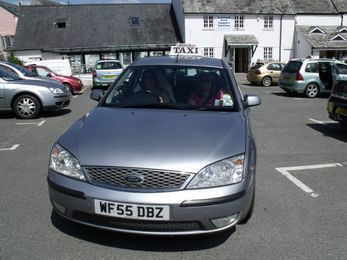 Our experienced drivers have extensive knowledge of the local Devon area; which ensures you will always get to your chosen destination with minimum fuss and stress. Bernie Taxis operate from Tavistock 7 days a week, from early morning through till late and will happily cover any distance whether it’s from Tavistock to Exeter or any other destination within the UK. You will be assured of a competitive price for your travel. We regularly promote various discounts. Feel free to contact us to discuss your requirements on 01822 851123 alternatively you can make your booking enquiry by emailing us on our contact form. At Bernie Taxis you can be assured of a first class service as we will do our utmost to ensure your journey is a pleasant and stress free experience from start to finish.